Rev. 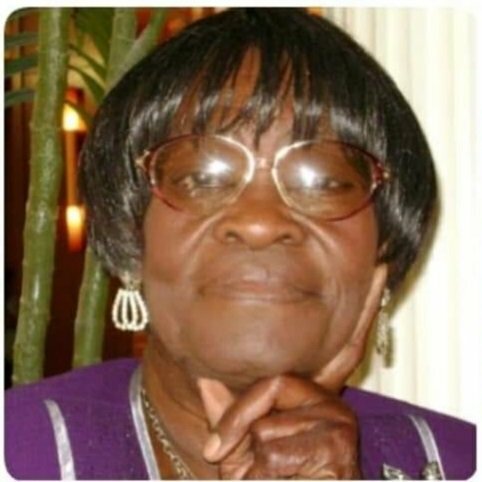 Mable L. Elias passed away January 27, 2019 in Keller, TX. Born October 4, 1928 in Sebring, FL she was the daughter of Walter K. and Lubertha (Dudley) Waters. Rev. Mable worked for Harrison Radiator Div of GM in production for 28 years and in her later years she served as a minister. She enjoyed reading the bible, crocheting, and serving. Rev. Mable was predeceased by her husband, Rayfield Elias on January 9, 1998. Rev. Mable is survived by her children Anthony Elias, Zelda Elias, Cheryl Flowers, Rhoda Elias, Lynell Elias, Julian Elias, Rayfield Elias, and James Elias; twenty-eight grandchildren, forty-eight great grandchildren, and eight great-great grandchildren; sisters Minnie Davis, Mary Frances, and Ernestine Dudley; also a host of nieces and nephews. Relatives and friends may call Monday, Feb. 4th from 10 AM – 11 AM at the Lockport Alliance Church, 555 Davison Rd., Lockport where services will immediately follow at 11 AM. Interment will be in Cold Springs Cemetery. Visit pruddenandkandt.com.